The statement stuck with me into the evening. Is customer advocacy a distinct position and role on the team or does everyone share responsibility for thinking this way? What is the distinction between quality focus and customer focus? My team has been bitten multiple times in the past by rushing to produce “must have” and ”mission critical” software releases only to have the customer not use the software. In each case there was a customer advocate. But in each case the customer didn’t connect with the software to produce the intended results. The software worked as requested but the business model for the trading of goods and services didn’t work. Those projects left a bad taste in my mouth. But don’t blame the customer. Blame our ability to connect the potential customer with a solution they would use. It’s the job of the solution designers to create a bridge between the customer’s desire and the customer’s use because the customer cannot. It’s the job of the testers to cross the bridge the solution designer creates because the designer should not. 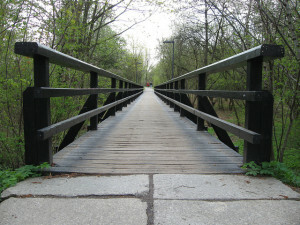 It’s the job of the customer advocate to cross the bridge like the customer would move across it. Maybe that’s skipping, running, or even sliding. That may make the customer advocate unpopular because the designers and testers tend to think about crossing with the design of the bridge in mind whereas the customer thinks about what’s on the other side. Then I realized that the customer advocate may have to play an unpopular position to the customer as well. Sometimes the customer doesn’t know exactly what they want or how to describe it. Sometimes the customer has unrealistic expectations about delivery. The customer advocate may find themselves saying something like “We can’t do that….but what we can do is this…..” There’s a risk in throwing out a statement like that. The customer may walk away completely. But I believe in most cases it creates a deeper conversation. One in which the customer becomes more engaged. It’s a conversation that goes closer to defining the bridge between the customer’s desire and the customer’s use of a product or service. So if you know a customer advocate on your team that is unpopular at times then they’re probably doing something right. Show them some love this week.